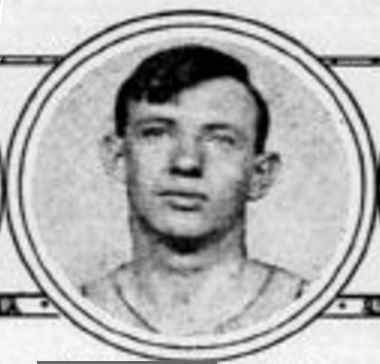 Jimmy Brown was one of many early stars to emerge out of the basketball incubator in Homestead, Pa. Brown’s brother Allie also played professionally for over ten years. Brown began his professional stint with three years in the Central League. When the league folded, he moved to the Eastern League, where he starred for ten more seasons. His best years were with the Camden Skeeters where he was always among the league leaders in scoring despite never shooting free throws (in the era of designated free throw shooters.) Brown led the EBL in 1915-16 and 1916-17 in field goals by a wide margin. James Brown Jr. Born: Apr 13, 1892 Died: Hometown: Homestead, Pa.